One of the treatment options not well know among the public is how acupuncture can aid in recovery from stroke. The most effective time to treat someone who has suffered stroke conditions is a soon as possible, meaning within hours or at least within a few days. Another window that has exhibited increased odds of recovery is up to a two months. The common treatment protocol is strong electro-stimulation to selected points along the scalp to help regulate blood flow in the affect regions. “meridians” or “channels” associated with Traditional Chinese Medicine science. In a recent discussion on the subject over dinner with a senior colleague, she mentioned that even the hemorrhagic type stroke can be treated due to the regulatory effects of acupuncture. In my own experience, I have had the opportunity to treat stroke patients who suffered from occlusions, but not before a few months when the condition was more established. Nevertheless, there was still some noticeable range and voluntary motion improvements and continued treatment could still yield positive results. Herbal decoctions can and are often prescribed in bulk, powder or pill form in conjunction with acupuncture to help improve blood flow as part of a gentler holistic approach in effort to resolve the condition. Before engaging in any treatment, please consult with your primary physician. Blogger’s Note: Acupuncture can also be used to detoxify by helping regulate body functions used to eliminate and process toxins. If you are a student studying for the State or National Boards , please consult your textbooks for official answers! Copyright © 2017 ChallenYee.com. TheDodgeKid.com BestBuckBuck.com All Rights Reserved. I don’t necessarily like to label of being an ”alternative” medicine health provider, because that suggests that you’re not going to see me for your problems unless your “normal” physician route fails. One of my patients this week came to me after going to the local big university hospital. After several tests and images, the various doctors and specialists determined that there was nothing they could determine that was the cause of the sudden sharp pains she would occasionally experience in her abdomen. After a consultation and initial observations, I detected clear evidence that this patient had a misalignment mid-spine above the lumbar and the tell tale signs in her muscular imbalance that she has suffered from long-term impingement of the nervous system. Although pain may be the main reason most people make a trip to the hospital, you don’t have to resort to becoming a drug addict on one hand, or an undiagnosed person who is experiencing real discomfort. Long term use of anti-inflammatory drugs, for example, can provide relief from pain by reducing swelling, but there’s a cost to your body’s capacity to detox when those organs are stressed from working overtime cleaning your body from the drugs you are taking. Fortunately, as a Licensed Acupuncturist, I am able to help the patient in a way that does not involve drugs and can help stabilize her condition. With a combination of therapies, including the personal attention offered through acupuncture, electric-stimulation, cupping, Chinese massage techniques, and dietary recommendations, it is possible to go a more natural route in maintaining ones daily performance. Off The Cuff: A consumer viewpoint of Acupuncture in an American medical system. Acupuncture has been an integral part of Chinese culture through the centuries since ancient times. The Chinese have used many modalities in effort to cure the ill health. Broadly speaking, Chinese Medicine can be divided into several basic areas: Acupuncture, Herbal, Dietetics, Massage, Physical Therapy, Chiropractic, Qi-Gong (Personal Energy cultivation), Lifestyle, and Feng-Shui (harmonizing with ones environment). To a large degree, Asian martial arts is intimately connected to all of these medicinal arts though the opposite is not necessarily true. A professional who practices the traditional Chinese medical modality of Acupuncture can be as generalized or specialized as he or she cares to be as they can be influenced or experienced in any combinations of the above mentioned medical modalities. Acupuncture itself has a myriad of systems (i.e. Channel-based, 5 Element, Scalp, Auricular, and many others). Not all “traditional” Chinese medical techniques are recognized in the United States due to cultural practices, inter-profession conflicts and legal and insurance limitations. The various established professions work hard to draw the line between their fields and where Chinese Medicine may overlap, and, conversely, this includes when Western professions have adopted the use of acupuncture-type techniques such as using non-hypodermic needle therapy which should fall under the realm of a Licensed Acupuncturist. Moreover, Licensed Acupuncturists in the United States, unless they’ve earned a Doctorate of Oriental Medicine (DOM), cannot market themselves as “Doctors” or “Physicians” although “Doctor” is common parlance used by Acupuncturists’ patients. By plain definition (meaning non-American-medical-system-and-insurance-legalese), an Acupuncturist can fill the role of a physician, as Acupuncturists are able to promote, maintain and restore health, diagnose symptoms and treat conditions, this is what Acupuncturists actually do even when engaged in simple pain management… just don’t expect to see “doctor” on his calling card or website. Since President Nixon’s visit to China in 1972, pain management has been the most commonly publicized and accepted use of Acupuncture in Western society. The public was amazed by a patients having abdomen surgery while being conscious and under the influence of acupuncture-based anesthesia. This exotic publicity helped Acupuncture gain broad awareness in Western society but only in the scope of managing pain symptoms. Nowadays, as a patient in most Western hospitals it is rare to hear a doctor refer you to an acupuncturist even if pain is your chief complaint. Even when a large medical facility has an acupuncture staff, it is not in the protocol of MD’s to prescribe acupuncture, you’ll need to request it if it is not voluntarily offered. The use of acupuncture in a Western Institutional setting can be so specialized it may fall under mental health or other less visible department. Even a Physical Medicine department, which specializes in handling musculoskeletal issues which Acupuncture (as a non-pharmaceutical based therapy) would normally be well adapted to, it is only recommended if the particular MD is cross-trained in Acupuncture. Generally speaking, You’ll need to go to an integrative clinic which incorporates Eastern and Western medicine to get a seamless protocol driven referral from a Western MD to acupuncture therapy. Acupuncturists can refer their patients for Urgent Care, imagining (i.e. X-Ray, MRI etc) or for labs (i.e. Blood panels) or to other interdisciplinary health fields (i.e. Chiropractors, Social Services, Mental Health). Referrals to other outside services are not always necessary, it depends on the assessment of patient symptoms or the diagnosis and whether treatment fall under the scope of practice of an Acupuncturist. A professional Acupuncturist in the United States is certified to perform “Clean Needle Technique” or a quality assured method of needle types, insertion, manipulation and disposal in a way that is safe for the patient and environment. Additionally, since acupuncture relies on the restoration or rebalancing of the body’s natural healing processes, there are no adverse affects related to introduction of harmful exogenic substances that may be found in pharmaceuticals. Copyright © 2016 ChallenYee.com. TheDodgeKid.com BestBuckBuck.com All Rights Reserved. Traditional Chinese Medicine (TCM) origins go back to ancient history so the common lay explanation of how it works does not usually involve how it regulates hormones or nerve synapses, reduces inflammation or improves the circulation of blood and lymph fluids which are based on Western science and medicine. In the modern day, TCM is a comprehensive system which offers several modalities to treat a patient, one of which is known as Acupuncture. Acupuncture involves inserting fine and sterile metal needles into the body. It is through the needle’s effects on the body’s natural energies and disease causing disturbances that restoring of the body’s own self healing functions can take place. From the TCM viewpoint, what causes a disease state (or most anything you might see a doctor for) can be caused by External or Internal factors. Examples of External factors are trauma, exposure to toxins, poor diet, life stresses, and environmental influences. Internal can be constitutional weaknesses, the consequences of long term external factors, and the effects of unresolved emotions. According to TCM theory, free flowing energy through the body’s normal energy pathways results in good health and any of the above External or Internal influences can obstruct the free flow of energy. The ability of an acupuncture needle or set of needles orchestrated upon the body reduces the disease causing obstructions so that the body can better return to its natural state of self-regulation and good health. Blogger’s Note: This article represents a renewed effort to post health articles on BestBuckBuck.com. Acupuncture can also be used to detoxify by helping regulate body functions used to eliminate and process toxins. If you are a student studying for the State or National Boards , please consult your textbooks for official answers! I am a Licensed Acupuncturist practicing in California since 2007. I am also certified nationally as Diplomate of Oriental Medicine and also licensed to practice in Hawaii. My ongoing theme in my Point to Point series is to explain in simple terms to help convey the application of acupuncture to the public and those who are largely unfamiliar with the ancient medicine. For your convenience, I have summarized my recent and ongoing Instagram posts. Point to Point: This point behind the knee, commonly treated bilaterally, has a strong effect on the lower back and is used in conjunction with lower back points for effective lower back treatments (photo Challen Yee. l.Ac. Menlo Park, Ca.). Point to Point: This is an example of a treatment of the lower back using several needles at and around the base of the spine. Each is precisely located in both position and depth. Lower back issues can result and or exacerbate problems anywhere in the lower body. (Photo Challen Yee, L.Ac., Menlo Park, Ca). Point to Point: This spot below the inner ankle bone, when paired with a specific point near the wrist is useful for treating coughs. 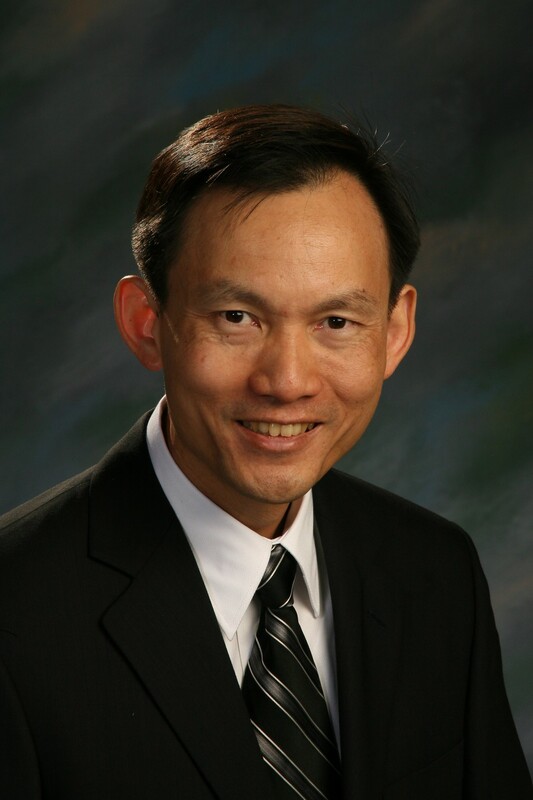 Each major organ system as defined in Chinese Medicine, like the lungs, have an association with what are known as Channels or Meridians which extend throughout the body in rather specific pathways (photo: Challen Yee, L.Ac., Menlo Park, Ca.). Point to Point: This point on the side of the wrist is the complementary point for cough for the one below the inner ankle (see previous post). The points can be used bilaterally although it is common to only use one set on opposing sides, ie left foot and right wrist (photo: Challen Yee, L.Ac., Menlo Park, Ca.) . Point to Point: Head or Scalp Acupuncture has a very wide range of applications. While these points are not on a stroke patient, scalp acupuncture can have a powerful effect on recently affected patients with non-hemorrhagic stroke. These points shown are for vision and balance (Challen Yee, L.Ac, Menlo Park, Ca.). Point to Point: These locations on the foot have a capacity to affect a wide range of symptoms including, but not limited to, certain types of insomnia, stress, headache, high blood pressure, fever and tinnitus. Use of other points for specific symptoms in conjunction would enhance the effects (Challen Yee, L.Ac., Menlo Park,Ca.). Point to Point: As the location midpoint between the umbilicus and the rib cage suggests, it is useful in relieving forms of indigestion and usually used in concert with other points (Challen Yee, L.Ac., Menlo Park, Ca.). Point to Point: This foot point I've used with 3 other points on the leg and lower abdomen to reduce long menstrual cycle times. Since the menstrual cycle events have hormonal indicators, you can deduce that acupuncture can help balance hormone health (photo: Challen Yee, L.Ac., Menlo Park, Ca.). Best to follow me on Instagram if you want real-time updates for Acupuncture with minimum noise. I post to Twitter and Facebook from Instagram, but the other media venues tend to cover a variety of other non-health subjects. Copyright © 2015 ChallenYee.com. TheDodgeKid.com BestBuckBuck.com All Rights Reserved. I am a Licensed Acupuncturist practicing in California since 2007. I am also certified nationally as Diplomate of Oriental Medicine and also carry a license to practice in Hawaii, where, back in the 1980’s, I served in the Navy stationed aboard USS Bremerton (SSN698) a nuclear attack submarine (which at the time of this post is the oldest operating submarine in the US Navy). Currently I am working on my Certification for Applied Clinical Nutrition. While my focus on this blog has not been my practicing acupuncture, there is certainly a connection between detoxification and how acupuncture stimulates the tissues of the body. One of the reasons for the simple practice of drinking a cup of warm or tea drinking temperature water after an acupuncture treatment is to help your body off load toxins that have been stored in tissue, released into the blood stream by acupuncture stimulation. The release of toxins is a reason why people may feel a bit fatigued after a treatment. The general public is still pretty oblivious to the applications of acupuncture, so the idea came to me when I was treating myself one night that I start sharing my knowledge with you. Although many people have a phobia of needles, it remains a strong value of acupuncture that it can help the body in many ways without the introduction of harmful exogenous-toxic chemicals – That fact in itself makes acupuncture a worthy addition to the lifestyle of those who desire to lessen the need for pharmaceuticals and their overloading of the body’s capacity for natural detoxification. For your convenience, I have summarized my recent and ongoing Instagram publications of some simple acupuncture practices and concepts. The last one (which was my first post) was only one Facebook, not Instagram. Point to point: tightness in the lower calf muscles are common amongst the elderly. 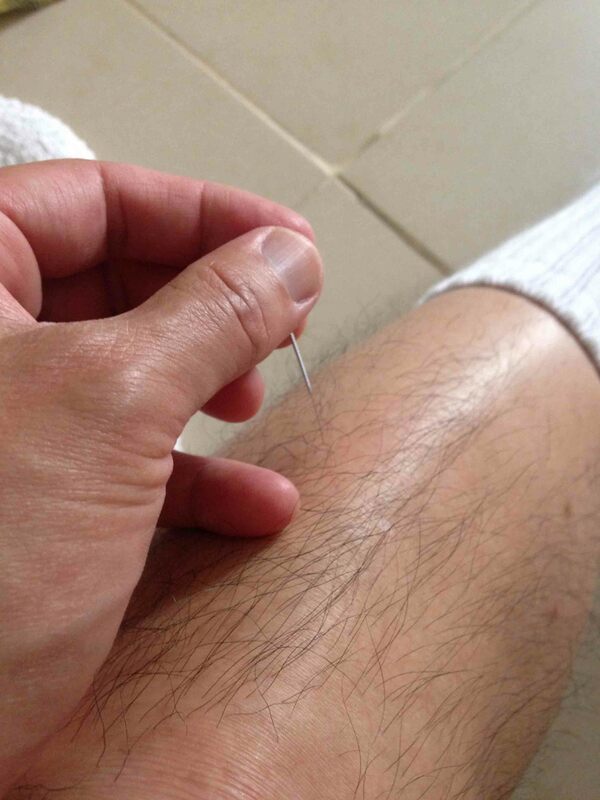 Acupuncture applied directly to sore and painful areas can either be applied in isolation or as part of a more comprehensive plan involving other points around the body (photo Challen Yee, L.Ac, Menlo Park, Ca). Point to Point: Common injuries often occur at traditional acupuncture points. When they do not, acupuncture can still be applied as long as precautions are taken with knowledge of anatomical structures (i.e. Lungs). Point to Point: have you ever had tennis elbow or experience pain in the muscle near the elbow like in the photo? Tissue damage frequently occurs at the transition between muscle and tendon and Acupuncture can help bring immediate relief and promote the healing process. (Photo: challen yee, L.Ac. Menlo Park, Ca). Point to Point: pain and soreness in the wrist like Carpal Tunnel are great candidates for the application of Acupuncture. With so many moving parts needed to control your hand, a little swelling or inflammation from repetitive motions will cause discomfort or pain. Acupuncture helps regulate both excess and flaccidity in body tissue and is a valid treatment option. (photo: challen yee, L.Ac). Point to point: Overstress taxes the adrenals and this point anterior to the ear helps support your adrenals. Test it for sensitivity by pressing with something with a rounded tip. Point to Point: Performing acupuncture treatment on myself to help the appendix area. In acupuncture we often use points along an acupuncture “channel” or pathway to balance an area of concern. The point shown here is below the knee and is confirmed by centuries of empirical data. Have you been trying to lose weight by exercising and not making any progress? 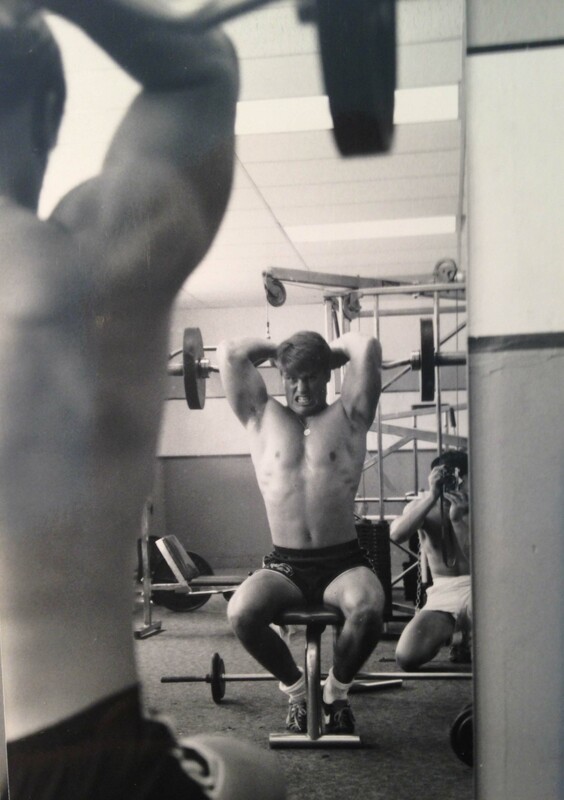 You may need to take this tip easy at first, but (pending your physician’s approval and your own common sense) I suggest that you start doing a series of short and intense workouts. The problem with your everyday mild aerobic workouts is that you’re not tapping into the massive reserves that your body possesses. One of the ways you can tell you are not tapping into your massive reserves is that you are not exhausting yourself enough. You’ve heard the saying, “If you don’t use it you lose it.” However, Were not talking about your extra weight. If you don’t use fat it stays. What we are talking about is your lean muscle mass. If you don’t use that you will lose it. Intensity with Bob Wheat in the early 1980’s. I’m taking the photo. In the lean muscle mass are a bunch of little critters called mitochondria, an energy producing dynamo, a bacteria in its former life before it combined with a human tissue cell. Lean muscle cells with high power output can have several mitochondria per cell. They convert glucose to energy. Oxygen is a key part of the conversion. So you can see, if you are essentially starving your body of oxygen by exercising intensely, you are also burning glucose like crazy. And if you make a regular routine of burning the extra glucose, the fat reserve will start being used to address your need, assuming you are not pounding down a high simple carb or sugary diet. The way to do this intense workout without burdening your free time is to do what is also known as a “Tabata”, an exercise system designed by a Japanese researcher Dr. Izumi Tabata. The way I was instructed by Jeanette Birnbach, DC. is you do a series of 8 quick routines, 20 seconds activity and 10 seconds rest. The intention of this 4-minute workout is to be completely wiped out, struggling for air, like you tried running a 4 minute mile. The actions you choose should involve your whole body and be done as intensely as possible. If you have weak or painful joints, however, you will likely self-adjust or limit your movements accommodate them until they can handle the extra stress. Since I often work with physically challenged patients, it’s can be a challenge for them to mimic most of the athletic people you see doing their version of tabata on an internet video. I use Acupuncture treatment and Chinese Medicine massage therapy to help restore range of motion and reduce pain of problem joints and muscles. At the same time, to perform the exercises, a reduction of range of motion and keeping within the patient’s “comfort” zone is necessary. An anti-imflammation diet and lifestyle work synergetic ally with a workout routine. The beauty of this, is that you can tailor your own set of movements, but best to use movements that involve both arms and legs. Mountain Climbers (burpees), jumping jacks, and variations of those are good examples. Motions and/or stances that exert both arms and legs with rapid as possible movements. Even if you are not just focusing on your waistline, eventually the exertions of your whole body will begin to reduce the fatty mass around your midline. Once you graduate the basic level and get you motions down without killing your joints, you can incorporate some mild weights and that will stimulate more building of lean muscle. Muscle weighs more than fat, therefore building muscle will counter the loss of weight, however, you will burn more fat. Remember, more lean muscle means more energy, and a better ability to burn extra calories and fat. It is important in any kind of detoxification process, like this type of workout is part of, to make sure you are not constipated and you drink plenty of fluids. Moreover, before and after an intense workout, is the best time to supplement with easy to digest proteins, like a smoothie with either powders and/or easy to digest high protein food. I strongly recommend you nourish your body right after a workout, when those new and revitalizing lean muscle cells have their doors open for nourishment. The last thing you want to do is eat a bunch of junk food and a soda. Just imagine personal trainer giving you a stern rebuke that moment before you put low-tech fuel in your supercharged dragster. One of the guys at the gym where I work out, Mike, a 400-meter specialist who is built like a brick house, mentioned that it is the consensus amount athletes that nutrition without the exercise gives marginal results, what he actually said was “Does nothing.” People must exercise to get the optimum results from their diets and if you’ve had problems breaking through a wall in your progress of taking weight off or other health issues. Consider the benefits of adding a short intensified workout. For you cynics out there, the reason exercising is not promoted and is not in your awareness as much as diet and nutrition, it is not easy for someone to make money off your actual exercising. You can exercise without buying anything special, unlike food and supplements, which virtually everyone needs to buy in order to use. This routine I’ve suggested here is capable of getting you through the wall, but you’ve got to do the work. Moreover, you’ve got to make a commitment. Any program to lose weight takes a concerted 1 year effort minimum to help ensure you don’t crash backwards. If you’ve been flipping back and forth, each iteration will be harder for your to take it off and keep it off. Make it fun, start easy, you can be creative, dance, martial art moves, and unleash your inner awesome self, physically, mentally, emotionally, spiritually and with intensity.